The success of a company depends on the kind of talent it can attract. If you have creative, intelligent, and hardworking employees, your business is more likely to thrive. One question that many business owners and HR managers wrestle with all the time is: How can we attract top talent into our company? The type of talent you attract depends on the perception that prospective employees have towards your company. If the public views your company positively, the most skilled people will be lining up at your front door looking for jobs. If there's a wide-spread negative public perception towards your company, the best and brightest will avoid you like the plague. The good news is that companies have the power to shape public perception towards them through the use of company culture videos. You can easily employ a professional video production company to create company culture videos that are guaranteed to attract top talent. A good company culture video that also serves as a recruitment video should explain the on-boarding process of the company in detail. It should tell prospective employees how to apply for jobs, and what to expect when they come to the company. To help explain the on-boarding process, B-roll footage of different parts of the company should be used. Professional videographers use B-roll footage to give visual context to an interview or a monologue that would otherwise come across as drab. Explaining the on-boarding process of a company while showcasing it has the effect of familiarizing potential recruits with the ins and outs of the company. By giving them an insider look at the company, you are providing them with the information they need to decide whether or not working for you is a good fit for them. Professional videographers understand how to showcase the best aspects of your company’s culture. Usually, there has to be a great underlying story to the whole video. The story should be told not just from the point of view of upper management, but also from the perspective of average employees. A good company culture video strikes the delicate balance between showing the fun side of a company and emphasizing the importance of a great work ethic. It’s necessary to showcase the awesome culture of the company in order to indicate to potential recruits that your company is a family that welcomes talented people irrespective of their backgrounds and cultural differences. A company culture video should indicate to prospective hires that your company cherishes and rewards excellence. If your company has won an award or any kind of recognition, however big or small, don’t shy away from highlighting it in your culture video. Company culture videos should include highlight interviews where employees and executives talk about recent achievements and awards, why those achievements are important, and what the company is doing to build upon past accomplishments. Talented people are always interested in working for companies that strive to be better. Spotlighting excellence is also a way of showing prospects that your company is better than its competitors. To make a great company culture video you have to identify the best parts of your company and showcase them. Professional videographers will be able to tell you which area on your company premises will look best on camera, and what kind of video reels will capture the attention of your audience. 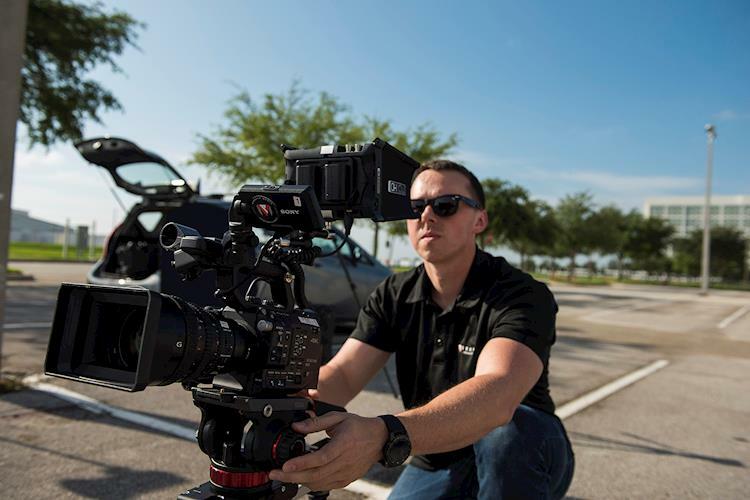 A company culture video has to be carefully choreographed to present the best face of the company, so when making one, you are better off working with a professional video production company that understands how optics works. You also want people to see what’s new and hip about your company, as well as any features that make your company unique. Company events perfectly encapsulate the culture of your company, and they provide a lot of material that professional videographers can work with when creating a company culture video. Events such as conventions, trade fairs, team-building exercises, seminars, press conferences, product launches, and CSR activities provide a chance for companies to showcase their most positive aspects, and footage from such events is exactly what you need to entice talented people into joining a company. During your company’s next corporate event, hire a production company to shoot as much footage as possible. You’ll get a lot of use out of the footage; it can be used as B-roll in company culture videos as well as in other types of corporate videos.